Greece is one of those countries that you’ll never get bored of visiting. 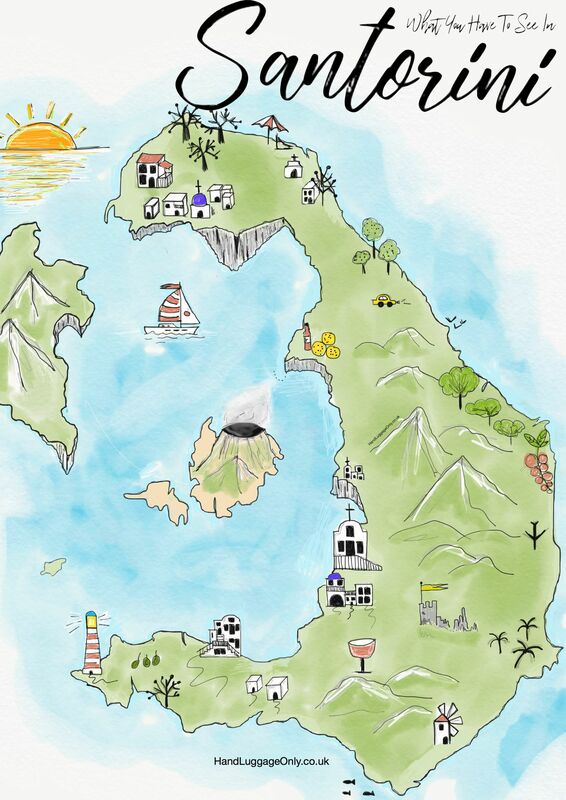 With thousands of little islands and the gorgeous mainland, it’s a place that just gets better with every trip. That’s what makes a trip to some of the most beautiful islands in Greece a necessity. 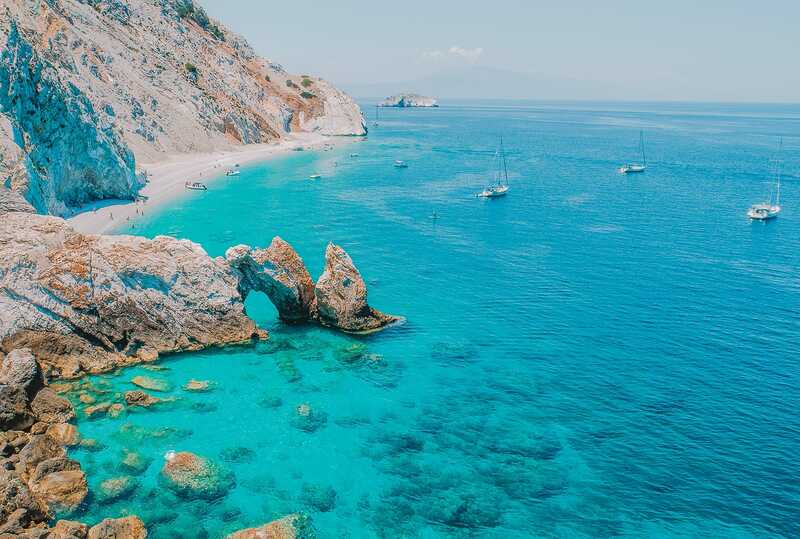 With tiny little islands like Skiathos, to the big (and gorgeous) islands like Crete – each one has its own particular charm, mountains of yummy Greek food to devour, and plenty of stunning beaches to take a dip. 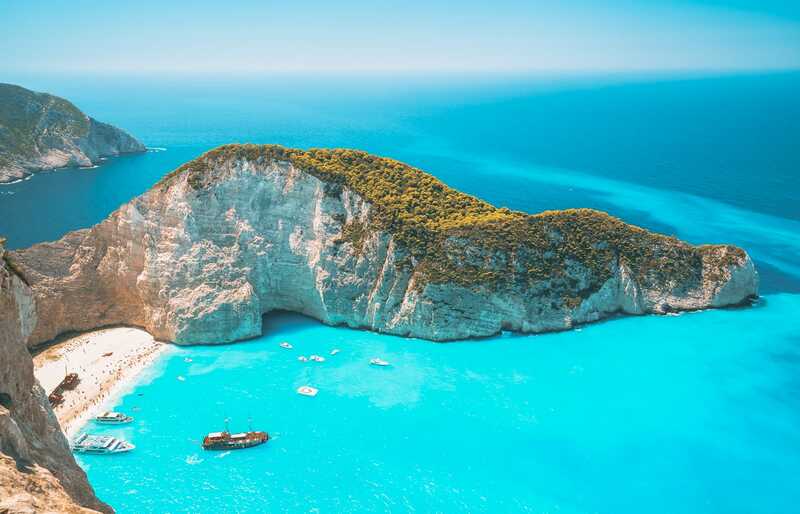 Take a look of 19 of the very best and beautiful islands in Greece you should visit this year. You’ll love it! Yeah, I know… I’m probably starting with the most obvious of Greek islands, but with good reason. 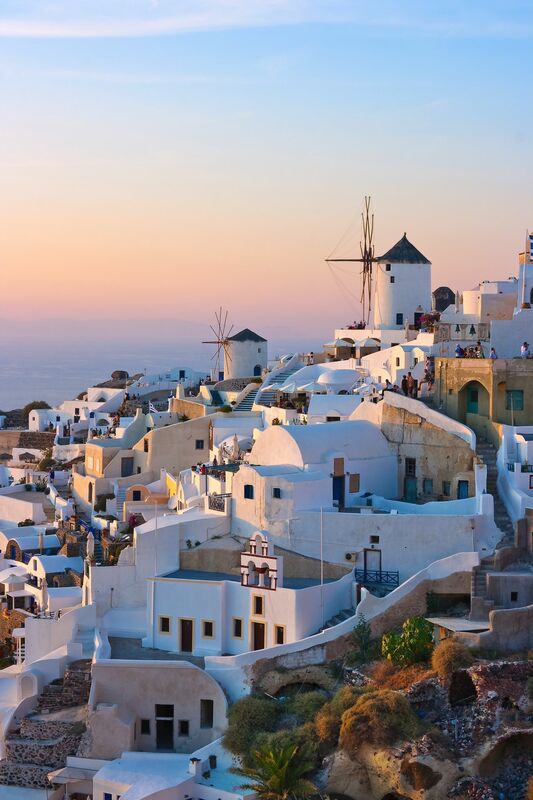 I’m pretty sure Santorini is the most famous and possibly the most beautiful islands in Greece. 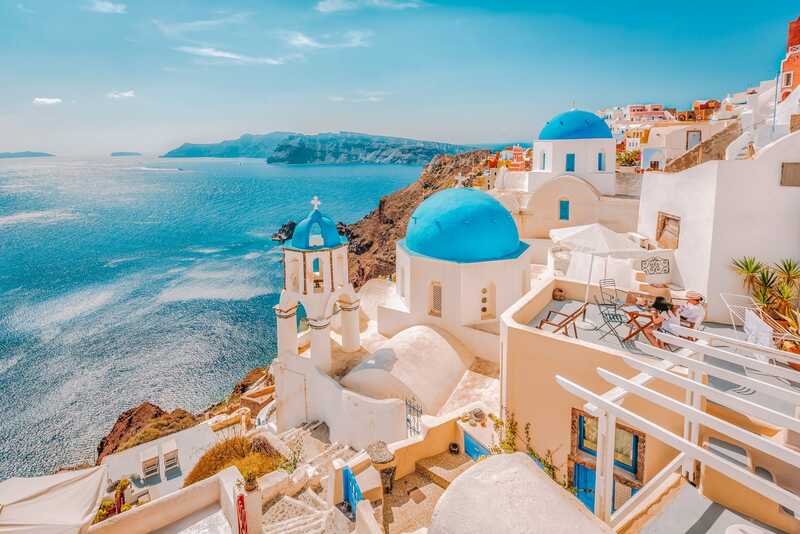 With its clifftop villages and amazing views, it’s one of the unique Greek Islands that has been massively shaped by a volcanic eruption a few thousand years ago. Legend has it that the island is actually the home of Atlantis which was devoured by the sea quite a few millennia ago. Whatever the case, you’re going to love it. Make sure to try some of the tasty dishes on the island and explore some of the prettiest sites to see once you’ve arrived. 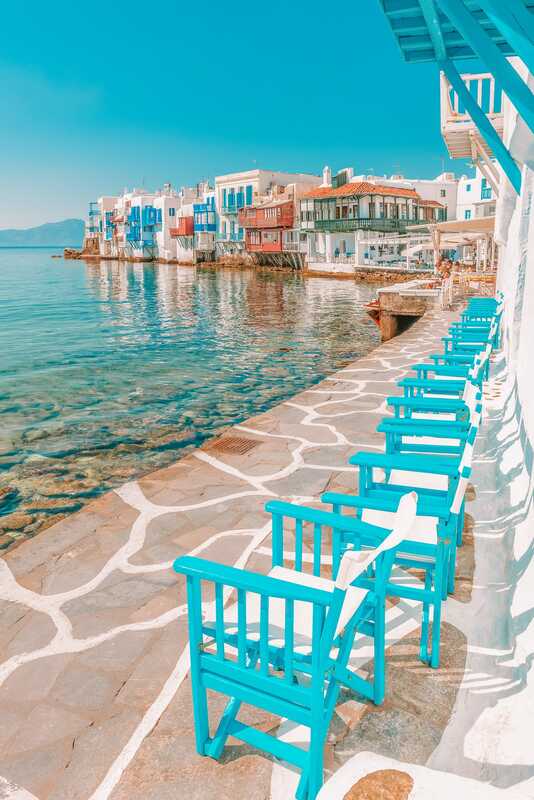 Mykonos is a stunner of a place, especially with all the little coves and quaint towns (that are soooo picturesque). 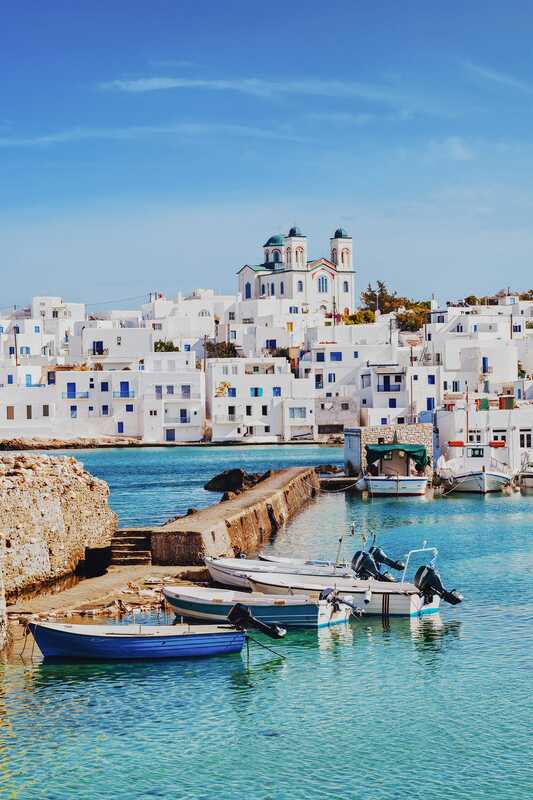 Make sure to wander around the cobbled streets of Mykonos Town, head over to Delos Island on a Kaiki (small boat) and visit the monastery of Panagia Tourliani. Oh yeah, don’t forget to see the island’s famous windmills too! They’re gorgeous at sunset. For a tasty bite, head over to M-eating for some of their freshly caught sea bass. It really is one of the beautiful islands in Greece you should explore. Perched on the west side of Greece, Corfu is one of the larger northerly islands you should definitely visit. Now, there’s a common misconception that Corfu is all about package holidays and boozy lads nights out. This couldn’t be further from the truth for the majority of the island. 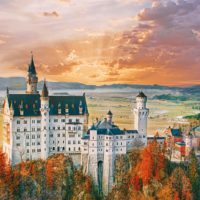 Yes, there are a few areas that cater to the party crowd but the vast majority of the island is so gorgeous and the ideal spot for us travellers to explore. 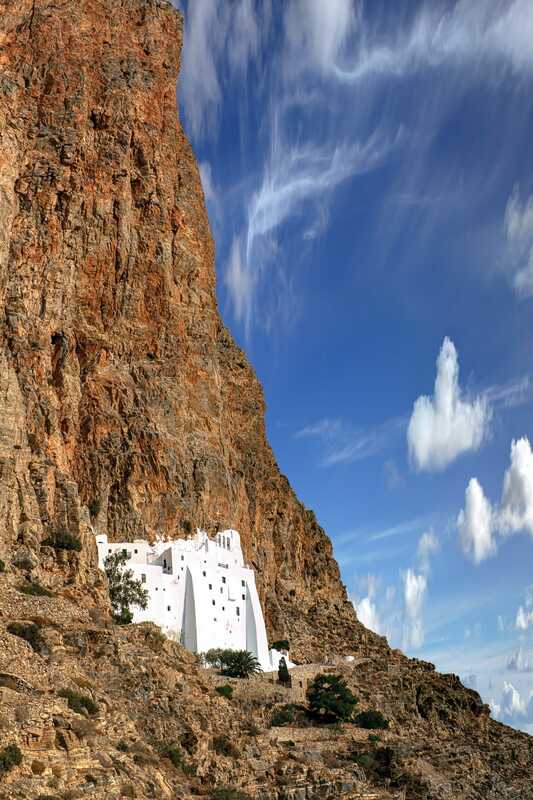 Make sure to visit the dramatic Cape Drastis, visit the Vlacherna Monastery and see the stunning canal d’Amour. Crete is, without a doubt, the largest of the beautiful islands in Greece you should visit. The best thing about Crete is that there’s so much to see, meaning you can easily justify a week or two just on the island itself. 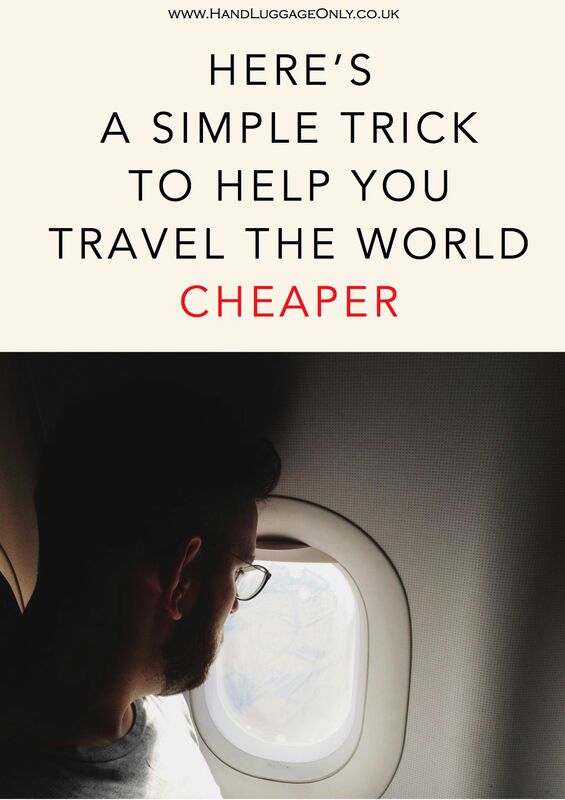 Heck, go for a month if you want! Whilst you’re exploring the island, head over to Spinalonga Island to see the historic fort, take a boat to the isolated Greek village of Loutro and ramble around Balos Lagoon. 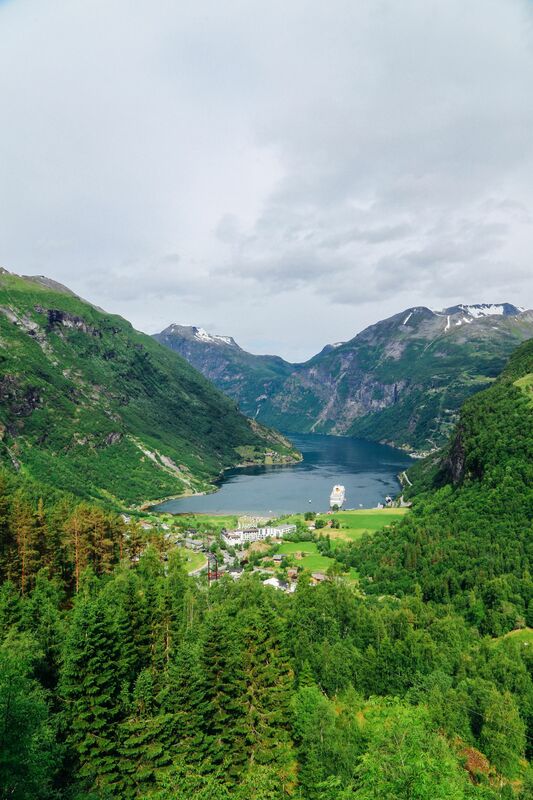 You’ll get some epic views. 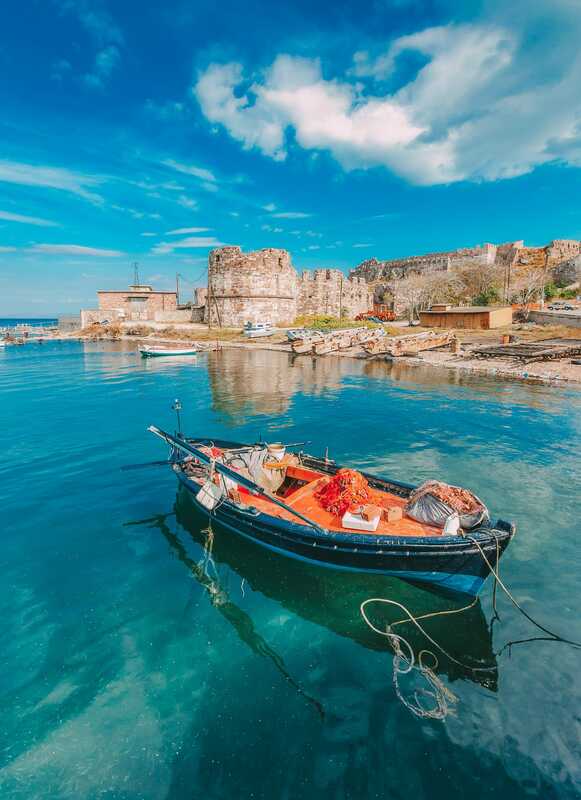 Rhodes was the first ever Greek island I’d ever visited… and what an introduction it was. 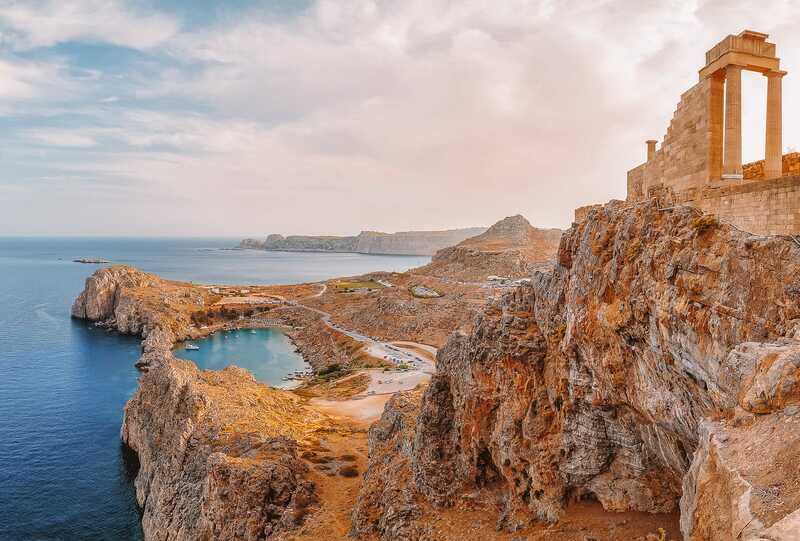 whilst you’re there, hop over to the village of Lindos, see the Acropolis and the medieval sites within the old town itself. For some of the tastiest dishes, pop into Ta Kardasia if you’re hankering for some authentic Greek food. They make the best moussaka in all of Rhodes. 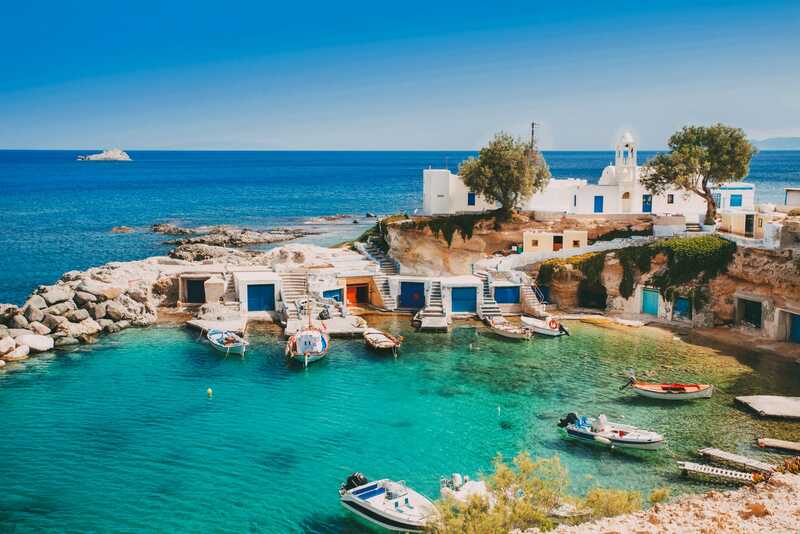 Part of the Cyclades island group, Amorgos is one of those islands that’s a little off-the-beaten-track, especially compared to places like Santorini. 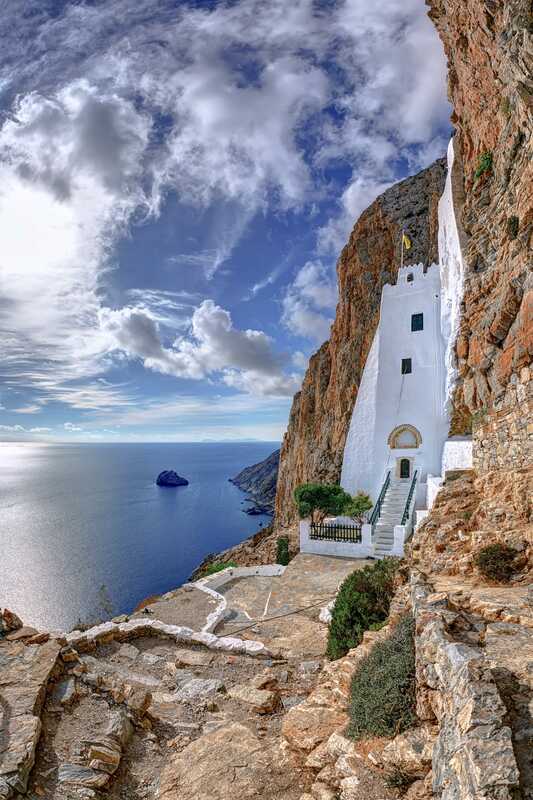 The best thing about Amorgos is that you can literally spend your trip on ‘island time’, chilling out, gorging on the fresh seafood that arrives every morning and seeing the stunning sites like; Hozoviotissa, the monastery on the cliffs. For the best appaki chicken, head over to Chora and the restaurant of TranzisToRaki. Just make sure to arrive early, or be prepared to wait for a table. This place does get busy with locals and visitors alike. 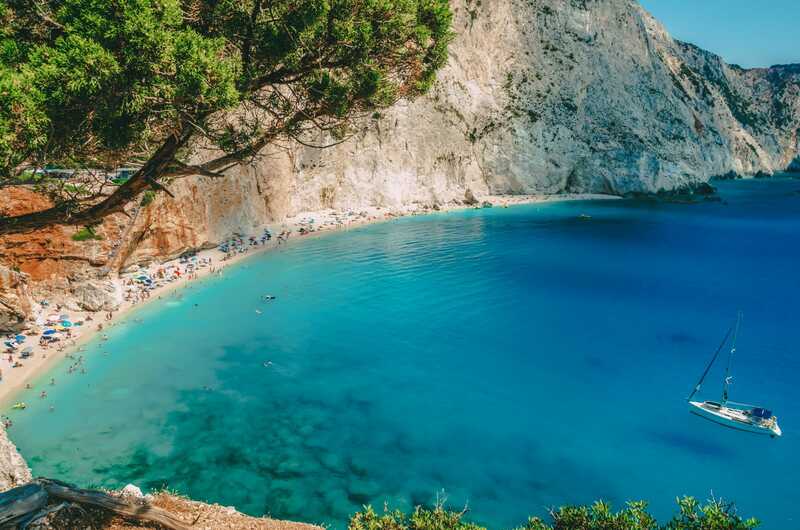 Perched within the Ionian Sea, Zakynthos is one stunning island to visit. 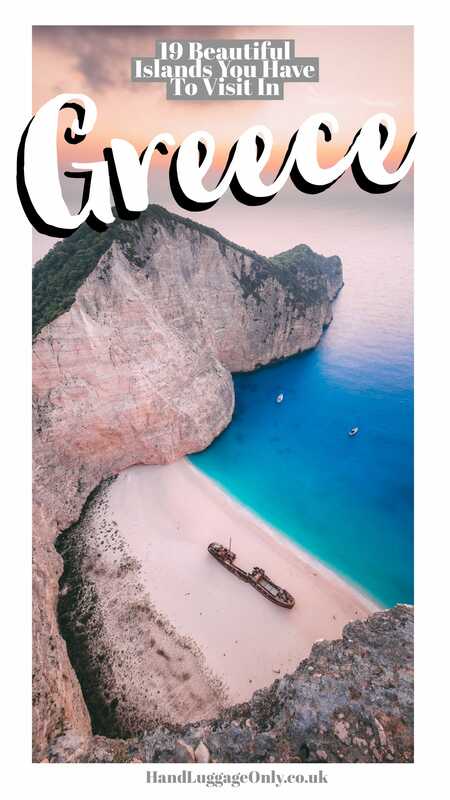 With places like Navagio Beach, the Blue Caves and Porto Limnionas, you’ll be spoilt for choice in places to explore. 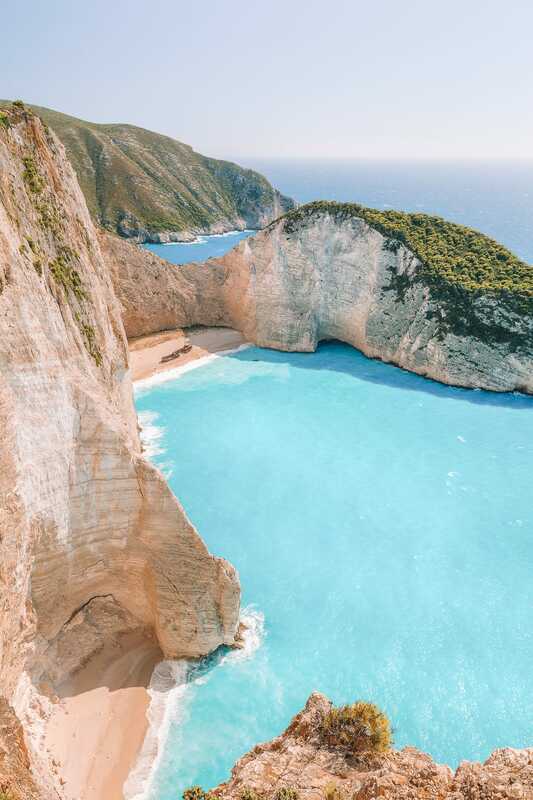 Of course, most of us travellers to the island will definitely want to see Navagio Beach, meaning there’ll be lots of boat tours to get to the beach itself. The waters really are stunningly blue and you’ll get some of the best views you could wish for. As a popular spot, expect it to get a little crowded but it’s a must-see spot whilst you’re on the island. 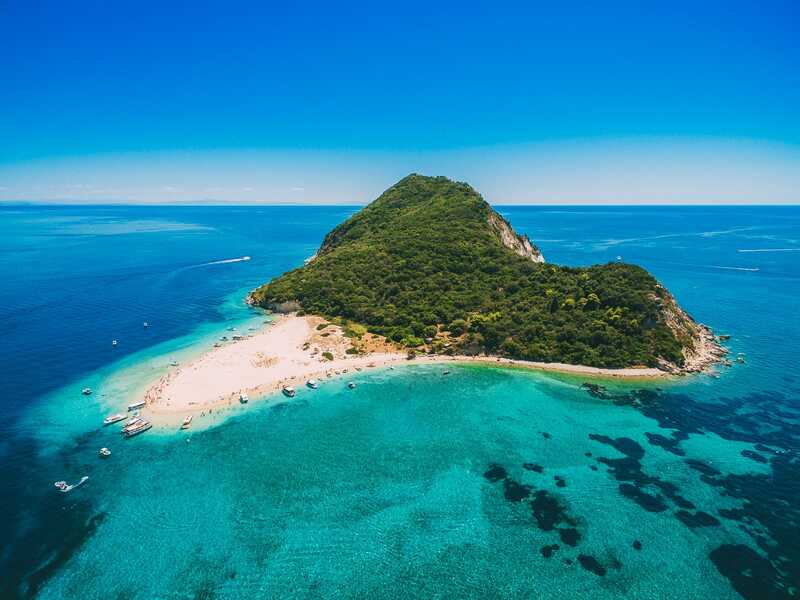 Don’t forget to visit the nearby Marathonisi Island, too. 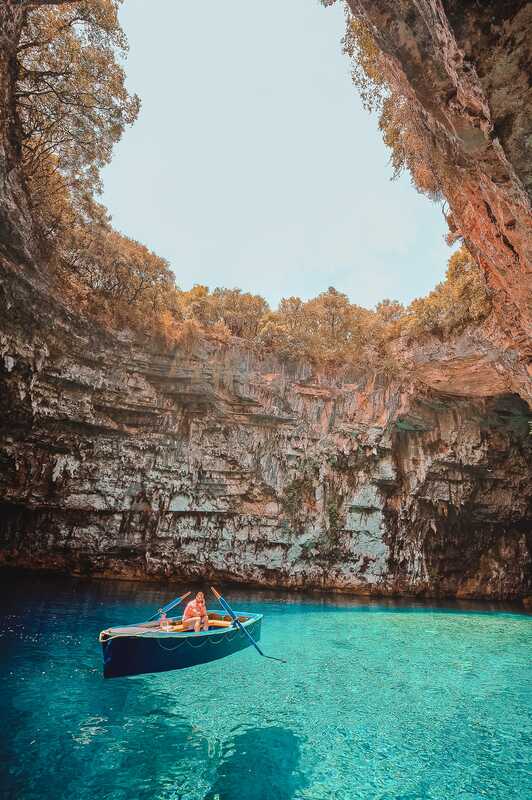 Another gorgeous spot in the Ionian Sea, Kefalonia is one of the beautiful islands in Greece you should defintiely visit. Make sure to visit the historic hilly capital of Argostoli, explore the stunning Melissani Cave and visit Myrtos Beach too. 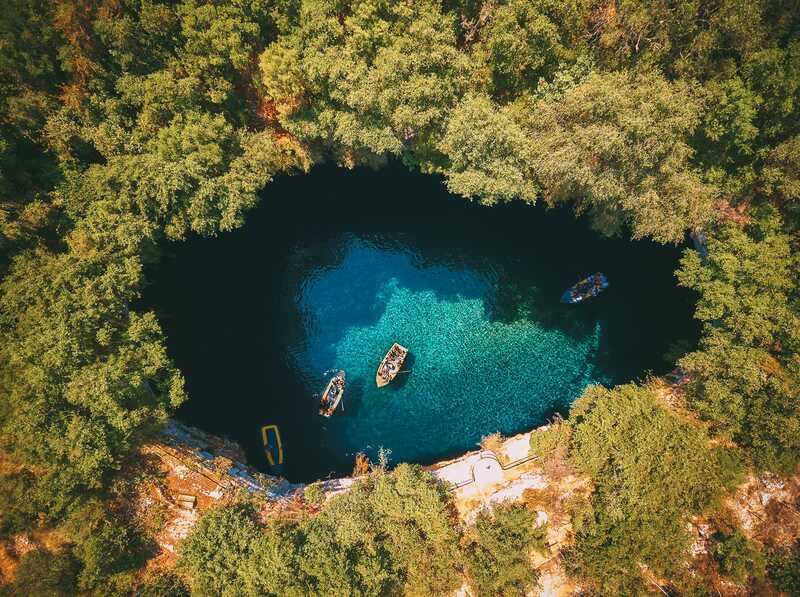 Although you’re not allowed to swim in Melissani Cave, you can still take a boat tour of this stunning place. Lefkada is one of only a handful of beautiful islands in Greece that is reachable from the mainland by road. 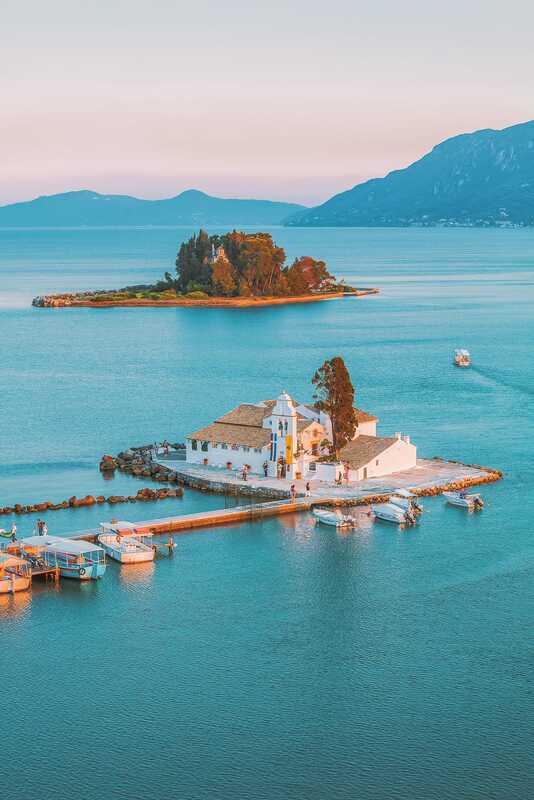 Nestled just off the coast and connected by a bridge and causeway, it’s a really special island to visit especially after exploring the gorgeous spots in mainland Greece. 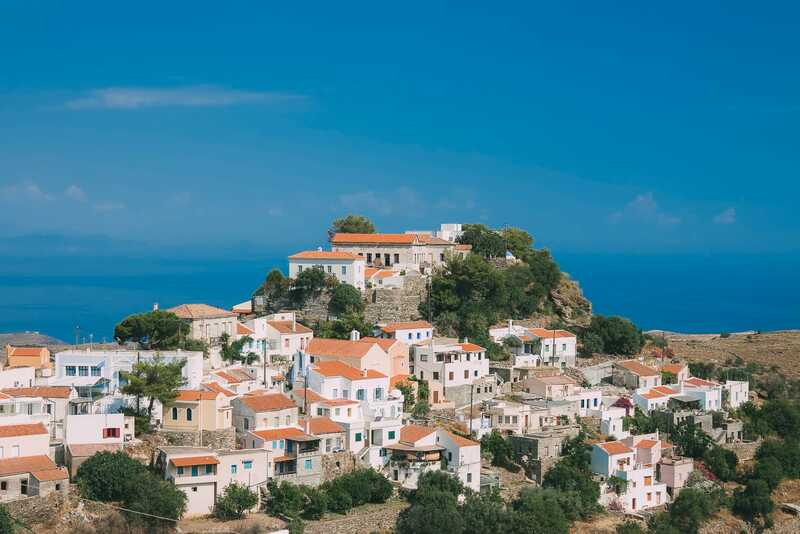 You’ll find it’s quite a bit quieter (with visitors) than lots of the other Greek islands, too. Spend your days taking a well-earned dip at Porto Katsiki and gorge on all the food at Basilico Restaurant (in Nidri) who cook the best-grilled calamari. 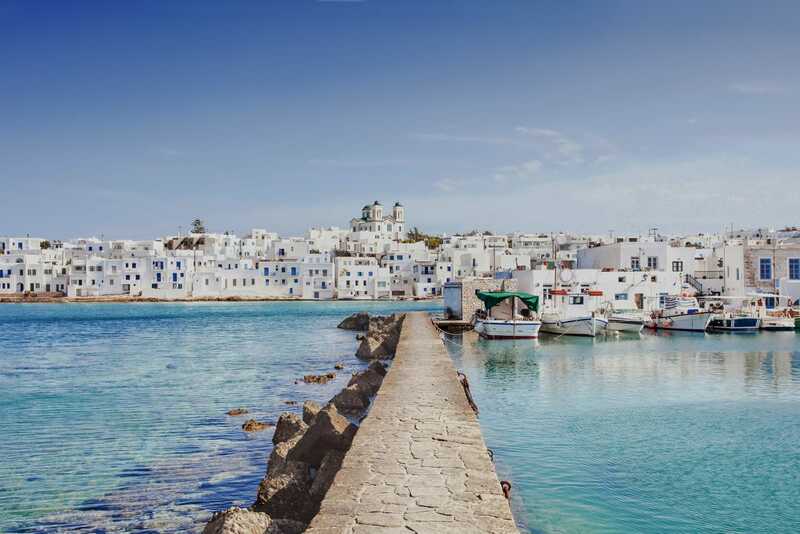 Nestled in the Aegean Sea, Paros Island is about 80 km north of Santorini. Spend some time in the Old Port of Naoussa, take a dip at Kolymbithres Beach and gorge at the Markakis Restaurant (in Piso Livadi). You really won’t find a more authentic Greek taverna. Andros is quite a mountainous and dramatic island you will want to visit. 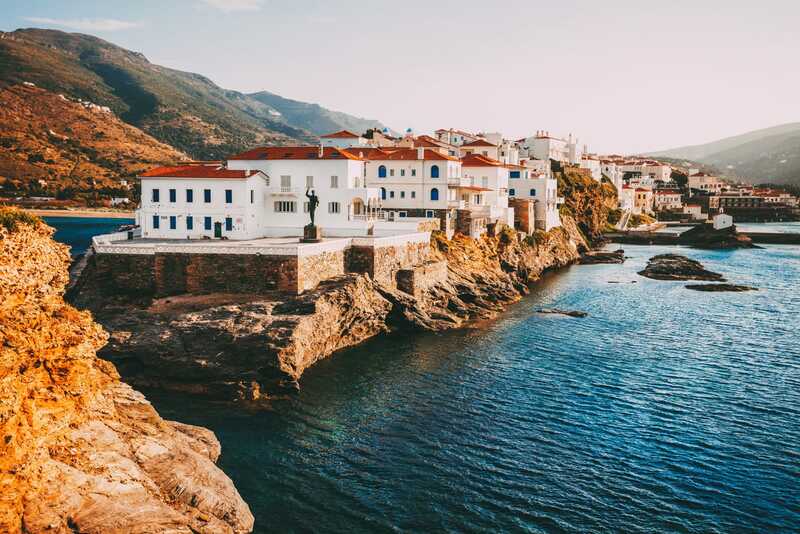 With a whole heap of mountain ranges and rugged coastal villages, you’ll definitely find Andros a throwback to times gone by. For a gorgeous, sandy beach, head to Agios Petros. 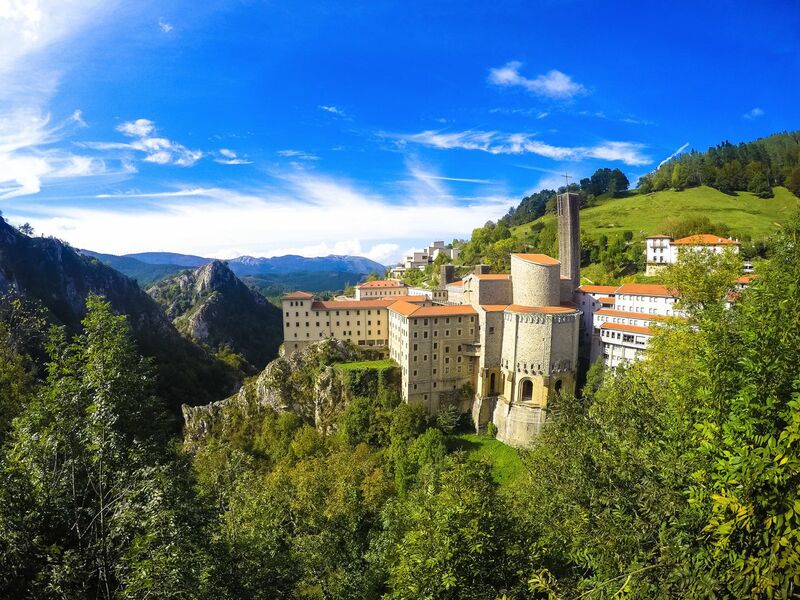 If, on the other hand, you’re looking to explore some historical sites make sure to visit the Monastery of Panachrantos. Also, if you want to feed your inner explorer spirit – pop down to the dramatic Cave Foros. It really is a stunner. 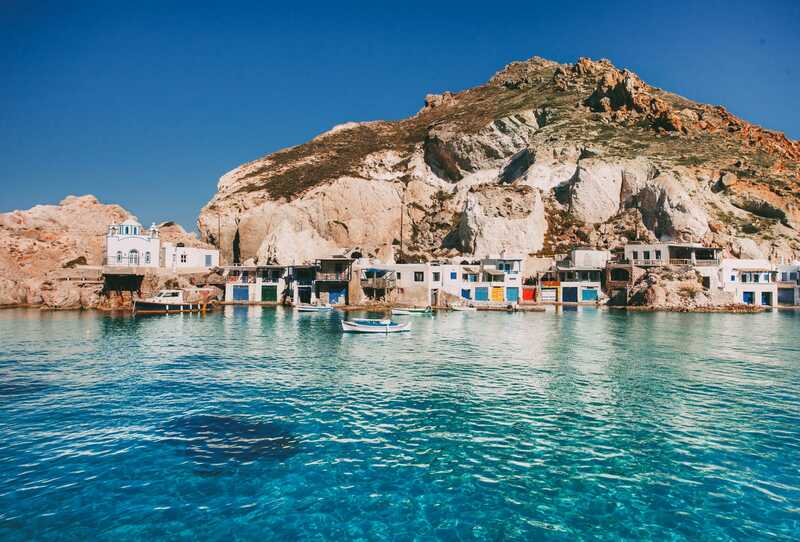 Pretty close to Crete, Milos is a stunning little volcanic island that really reminds me of Santorini – especially with the dramatic covers and cliffs. One of my favourite spots, especially for a little chill time is Firopotamos. 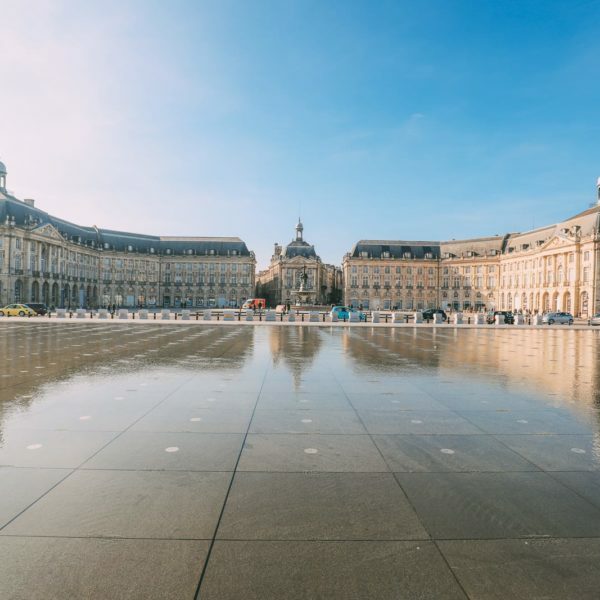 It’s a great place for a dip. For dinner with a view, pop into Ergina Restuarant. You won’t be disappointed. Antipaxos is a tiny little island with only around 20 people living on it, so expect a warm welcome! 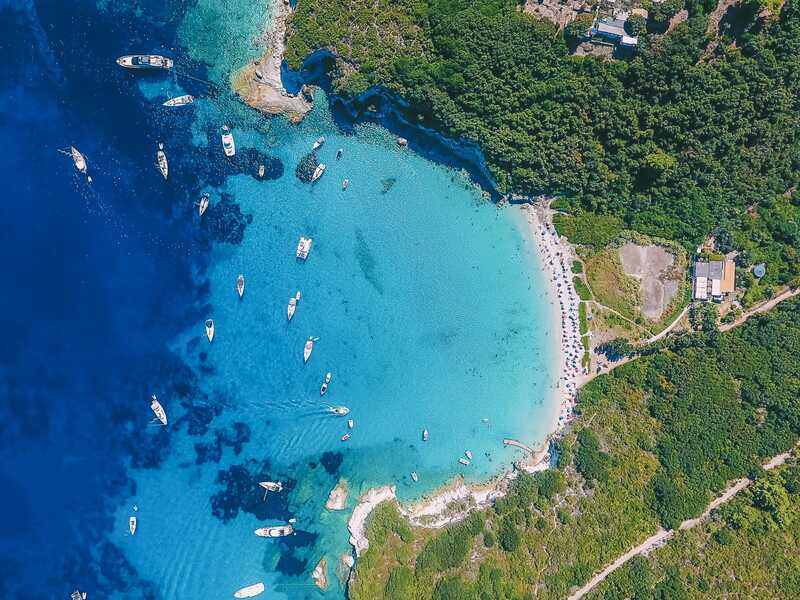 One of the easiest ways to get to Antipaxos is from Paxos Island itself (which is about 2km away) which is a pretty easy ride as long as you can rent a boat. 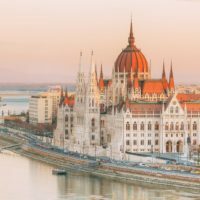 Now, the island really is tiny, so you might want to consider a visit for a day trip, especially in the summer months when the beaches and scenery are just too good to miss. 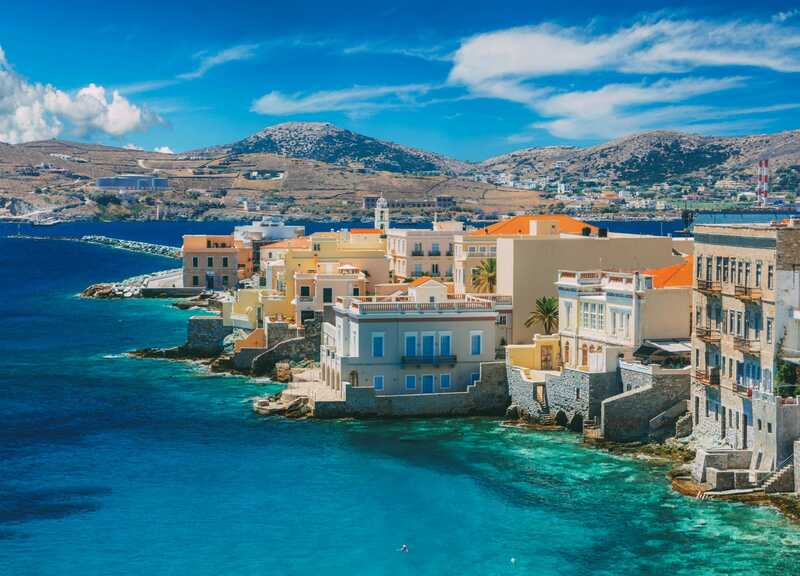 Syros is a popular little island for city dwellers in Athens to head to for a little break and it’s easy to know why. This is a gorgeous island to explore. Wander around the narrow streets of Hermoupolis, see the pretty Apollon Theatre and head to Allou Yialou for some typical island food. Inouses island is only about 3 km from mainland Turkey and is tiny in comparison to islands like Crete but that shouldn’t stop you visiting. The island is totally beautiful! You can even rent a boat and skipper and visit Pasas for a day trip too. Just make sure to take lots of supplies like water and grub. It’s great for a little getaway. Lesbos is one of the beautiful islands in Greece you have to make time for. I mean, where else can you explore Molivos Castle, see a petrified forest and visit an Ouzo distillery (in Plomari). For a pretty place to eat (with tasty food), head to Tropicana (in Molyvos) where they serve the best-roasted lamb and plums. You’ll love it. 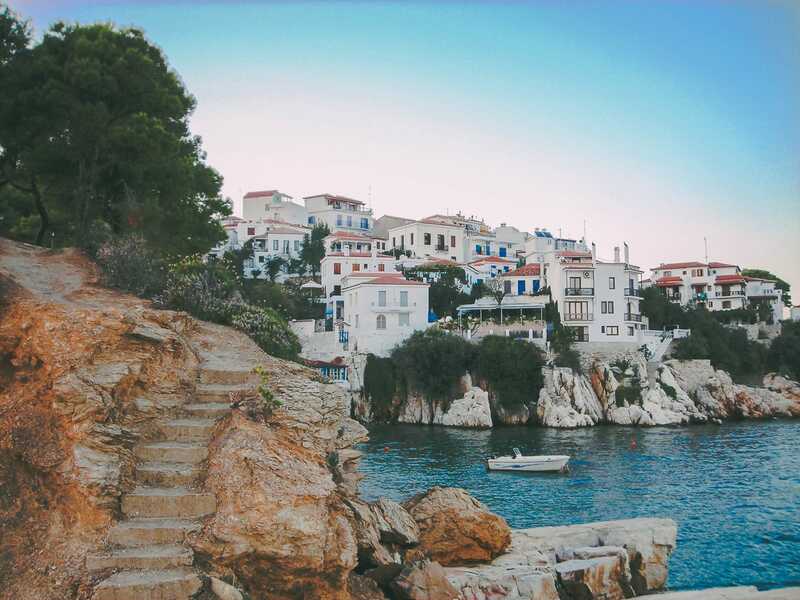 Skiathos is one of the smaller Greek islands that’s great to visit for a relaxing break. 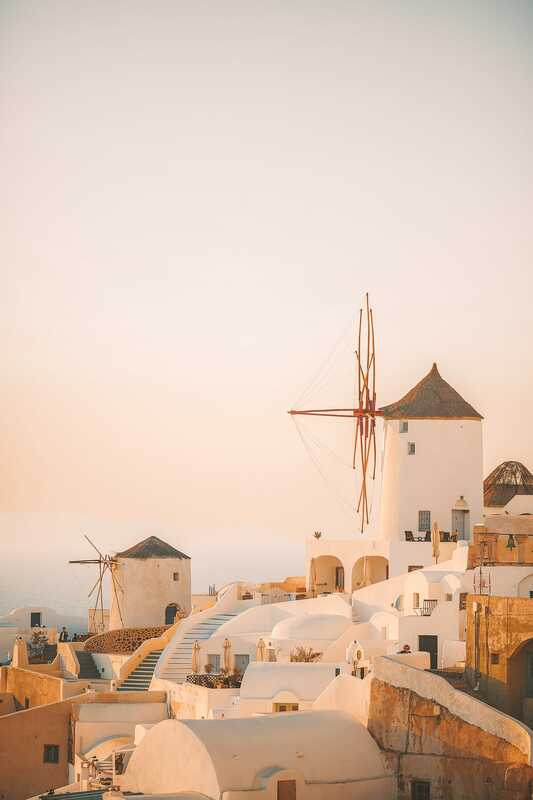 After spending your days relaxing on Lalaria Beach, pop over to Il Kastro to watch the sunset and gorge on all the delicious Greek food in one of the hundreds of little tavernas. The Windmill Restaurant (in Skiathos Town) is stunning if you’re looking for a special dining experience. 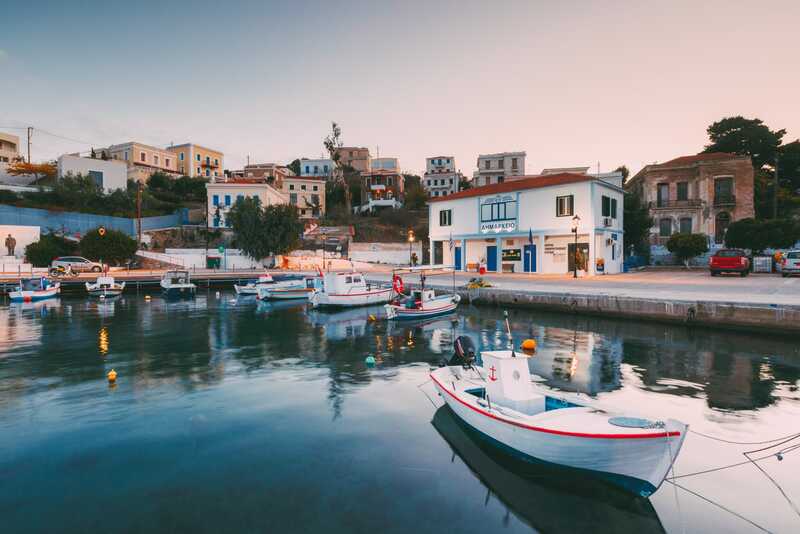 Often forgotten by many visitors to Greece, Kea is a charming little island that’ll whisk you away to a more down-to-earth and local experience. 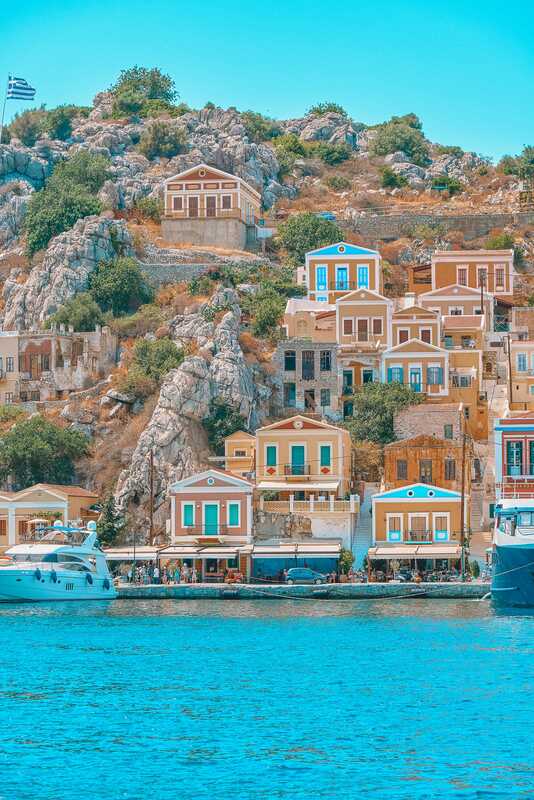 The colourful house of Symi is as picturesque as they come and easily up there as one of the beautiful islands in Greece to visit. 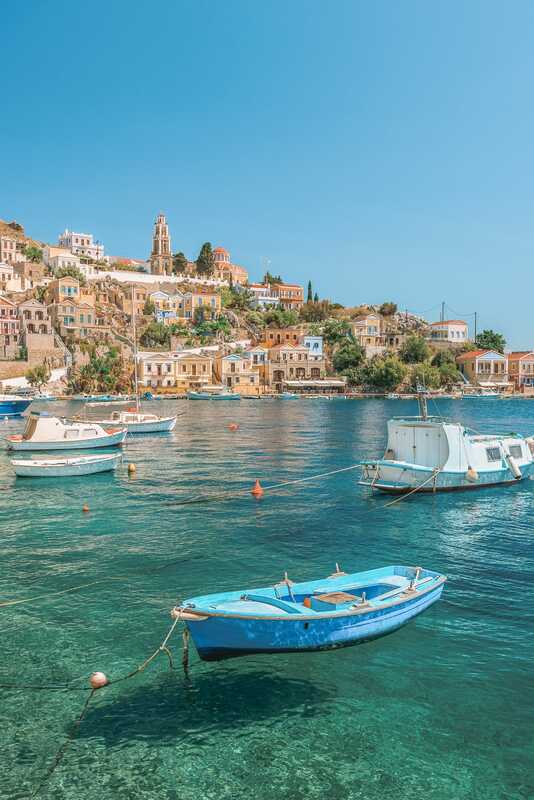 Quite a bit away from the white-washed houses of Santorini, Symi is a colourful affair filled with oodles of charm that I know you’ll love. 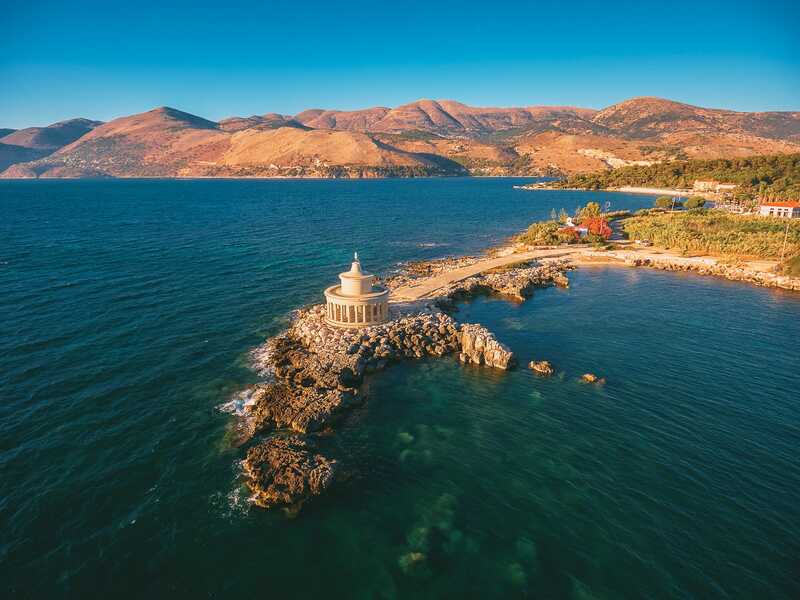 Make sure to visit Panormitis Monastery, enjoy Toli Bay and eat all the seafood at Odyssia Restaurant.